Although some cat(s) may be too far gone to be a house kitty, that doesn't mean they don't need us to survive. The cat is spayed/neutered and chipped. All you have to do is provide the necessary care for them. 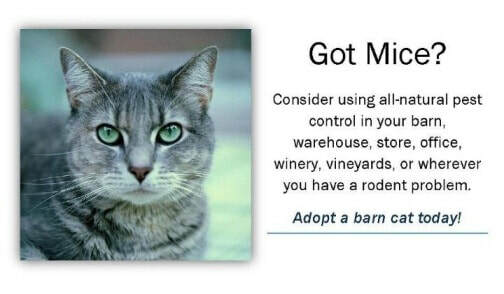 We currently have a few kitties that are not suitable for indoor homes. If you have a barn placement, warehouse etc where they can mouse and live their lives and you are interested in one of these sweeties please email us at neveahscharityofwestlincoln@hotmail.com for a barn placement application.